There seems to be a real appetite for home improvement, which we think might be down to people not moving home as much as before. Job Worth Doing Ltd is linking up with Blue Chip brands expanding into home improvement by providing installation services from kitchen and bathroom fitting to building conservatories. This follows a successful tie in with the UK’s largest supermarket to supply and fit double glazing in a new web based operation Tescowindows.com which has resulted in a major shake up of a market. Job Worth Doing aims to be the UK’s premier national brand for home installation and maintenance and bring a real change in professionalism, customer satisfaction and quality of work to the home improvement industry not always backed up by great service. The market worth 6.7 billion pounds sterling a year* is currently dominated by local tradesman. Increasingly large retailers, energy suppliers and insurance firms are seeing opportunities for expansion in the home market, but there has been a lack of a nationwide experienced and skilled workforce capable of providing customers with the desired level of service to match that required by the big brands. Nationwide chains need an organisation with a network of trained staff able to tackle any job that the traditionally the local ‘white van’ trader might perform. Job Worth Doing has established 13 service centres from Aberdeen in Scotland to Crawley in Sussex and has made acquisitions to build on its skill base acquired with window and conservatory businesses Weatherseal and Zenith and has bought firms specialising in kitchen and bathroom fitting, alarms and solar panel installation. The vast majority of British homes, 95%, are within an hour’s drive of a Job Worth Doing service centre and 99% are within two hours. The company plans more acquisitions to add new skills where necessary and to serve the few areas it does not already cover. 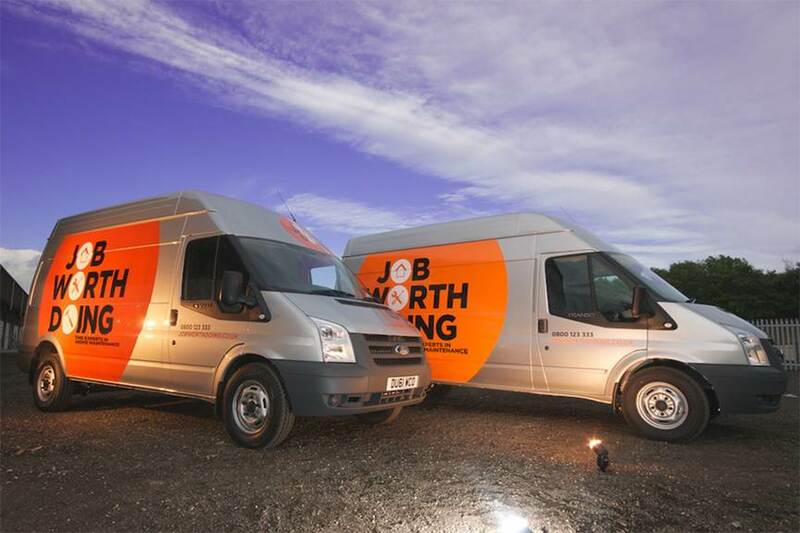 Job Worth Doing employees wear company branded clothing, use distinctive silver vans clearly marked with the company’s bright orange logo, carry ID tags and are CRB checked. In another departure from the local tradesman, company staff are given training in: customer-communication; how to keep disruption to a minimum and how to treat the homes where they work with care and respect. Continued Blackhurst: “We offer a tailored solution to each customer, whether they be a large company, or individual householders. Job Worth Doing is the first branded national Installation and ‘handyman’ company and operates through a UK network of Service Centres; comprising more than 200 fit teams & 250 liveried vehicles. JWD offers full range of home improvement and maintenance solutions – from one off repairs, maintenance, handyman, large scale installations and decoration. It is part of The My House Group which is an umbrella company for all in house sales brands providing shared services to group companies which allow them to focus on core skills of sales and customer satisfaction. Job Worth Doing provides installation services to each group company. This press release was distributed by ResponseSource Press Release Wire on behalf of Crosbie Communications in the following categories: Home & Garden, Business & Finance, Construction & Property, for more information visit https://pressreleasewire.responsesource.com/about.